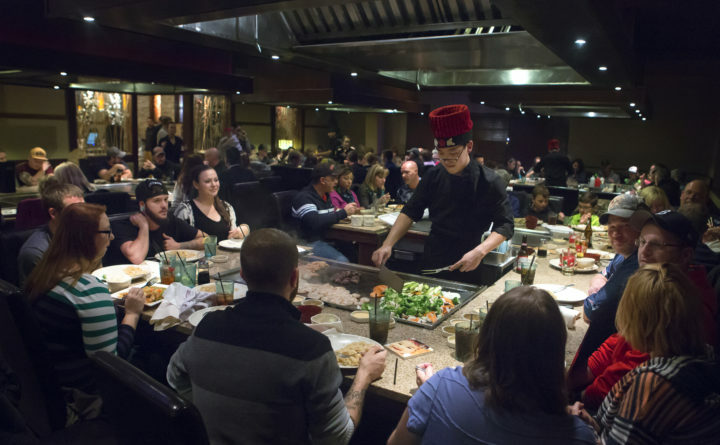 A chef prepares meals at Kobe Ninja House Japanese Grill in Bangor in November 2016. It’s 4 p.m. The work day is inching closer to being over. You and your co-workers exchange conspiratorial glances and Facebook messages. A plan is agreed upon: happy hour after work. 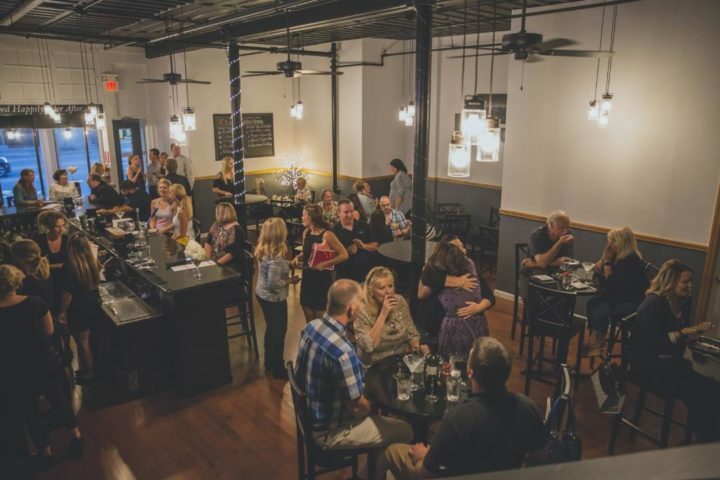 For those without a regular spot to unwind after a long day with a cheap drink and some snacks, we’ve compiled a list of some of the best places to do that in the Bangor area. The deal: $2.79 Budweisers, $2.99 Bud Lights, $1 off single liquor well drinks, $5 appetizer menu. This place is generally packed for happy hour on most days. Twenty-six giant TVs broadcast sports games in the bar, and if there’s a weekday concert at the Darling’s Waterfront Pavilion, which is directly across the street, watch out — it gets pretty crazy in there. The deal: There’s an entire happy hour menu featuring an array of half-off appetizers and $4 cocktails, as well as many more deals on beer and sushi. It does get pretty busy at this wildly popular Japanese restaurant — but then again, it’s always busy here. 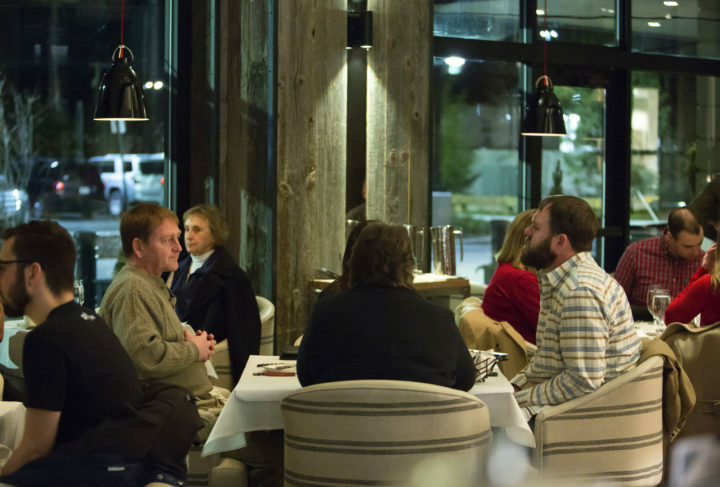 Patrons wait for their food at Timber Kitchen and Bar in Bangor in December 2015. The deal: $6 half jug wine, $5 well cocktails, $4 draft beer menu, $5 and $6 appetizer menu. Technically, Timber dubs this a “social hour,” but whatever you want to call it, it’s a pretty good deal — and in the cozy, atmospheric surroundings of one of Bangor’s prettiest restaurants. The deal: Every Monday, there are two-for-$10 appetizers, $5 margaritas and 20-ounce beers for 16-ounce prices. Yet another massively popular sports joint, Hero’s is beloved among locals, and also boasts one of the best meal deals in town. It’s more of a happy day, rather than a happy hour, but you get the gist. The deal: $5 draft beer and wine by the glass, $1.75 oysters, 25 percent off appetizers, burgers and pizzas. Blaze has one of the most extensive craft beer lists in eastern Maine, so that $5 goes a long way, as does the 25 percent off meal deals. Sit outside on the patio on a warm day and you’ve got yourself a nice post-work relaxation session. The deal: $2 egg rolls, $4 and $5 appetizers, $5 mai tais and $5 beers. One of the newest kids on the block in the Greater Bangor beer scene, Bangor Beer Company is a pretty good spot for snacks and drinks before a movie at Bangor Mall Cinemas — you can literally walk next door to the theater. Happy Endings, 32 Main St. Photos from the late September 2016 opening night of Happy Endings in downtown Bangor. The deal: $8 martinis, $5 glasses of wine, $4 draft beer. Sate your sweet tooth at this little downtown Bangor bar, which boasts lots of dessert-like cocktails themed to fairy tales and fantasy. Most martinis are regularly priced around $12, so you’re certainly getting your money’s worth during happy hour. The deal: Half off draft beers and glasses of wine. Evenrood’s boasts a beautifully designed interior and extensive outdoor patio, so it’s a great choice for drinking outside in the summer. Sea Dog Brewing Company, 26 Front St. The deal: $3 Sea Dog beers, $4 house wine, $5 margaritas, $4-$6 appetizer menu. In the warmer months, find a seat on the huge outside deck and down a pint or two of the Sea Dog’s house-made beer.